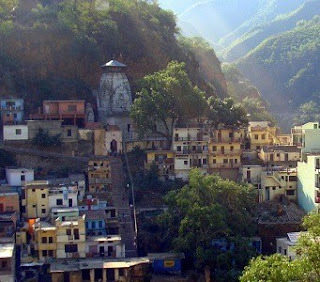 Devprayag is a small town in the Tehri Garhwal District of Uttarakhand near Rishikesh.Devprayag is a beautiful showcase of traditions, myths and mysticism. This is the place where the holy rivers Bhagirathi and Alaknanda meet, making it a unique pilgrimage like the Prayag of Allahabad.From here onward two rivers merge into one and take the name 'Ganga'.Devprayag though situated, at an altitude of 618 m, is endowed with abundant natural beauty. According to a belief, Lord Ram and his father King Dasharath did penance here. The main temple of the town is the 'Raghunath Temple', dedicated to Lord Rama.Here is Some Fact about Raghunathji Temple Devprayag Uttarakhand India. 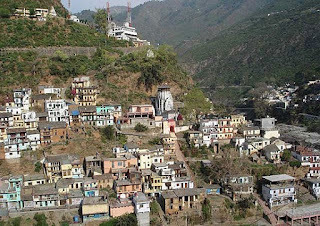 Raghunathji Temple is located in Devprayag which is situated Tehri Garhwal District of Uttarakhand India.This temple was built by Raja Jagat Singh of Kullu. He brought an idol of Lord Ram from his birthplace Ayodhya in an unethical manner. To get rid of his sin, he constructed the temple of Lord Ram. The construction for the current structure of the shrine was started in 1835 by Maharaja Gulab Singh who was the founder of the kingdom of Jammu and Kashmir. The temple construction was completed in 1860 during the reigns of Maharaja Ranbir Singh, son of Maharaja Gulab Singh. As per another belief, the temple was originally established by Adi Shankaracharya during the 8th century. 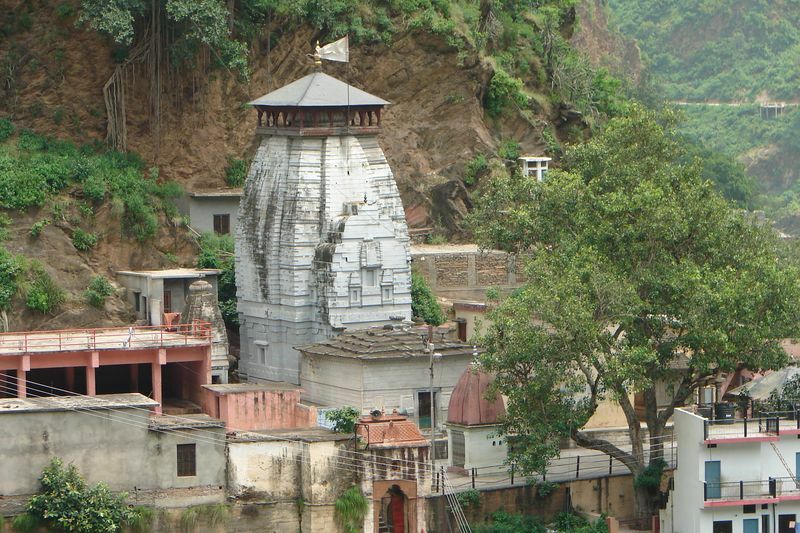 It was later expanded by the Garhwal Kingdom.The temple is dedicated to Lord Rama. The ancient Raghunath Temple here with a 15 foot tall deity of Sri Rama (Raghunath) is one of the 108 most important temples in India. In front of temple is a statue of Garuda. Behind the temple and slightly up a hill is Vamana’s cave and nearby is Lord rama’s stone throne. It’s beliefs that 33 crore god and goddess are live here. It is one of the oldest existing temples of India. 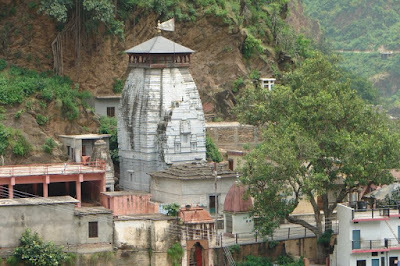 Raghunathji temple is made of huge uncemented stones, kept one over another, in a pyramid shape. The temple recieves lakhs of pilgrims every year. According to a local legend, the shrine is dedicated to lord Rama, when he came back to Ayodhya after his victory over Lanka. 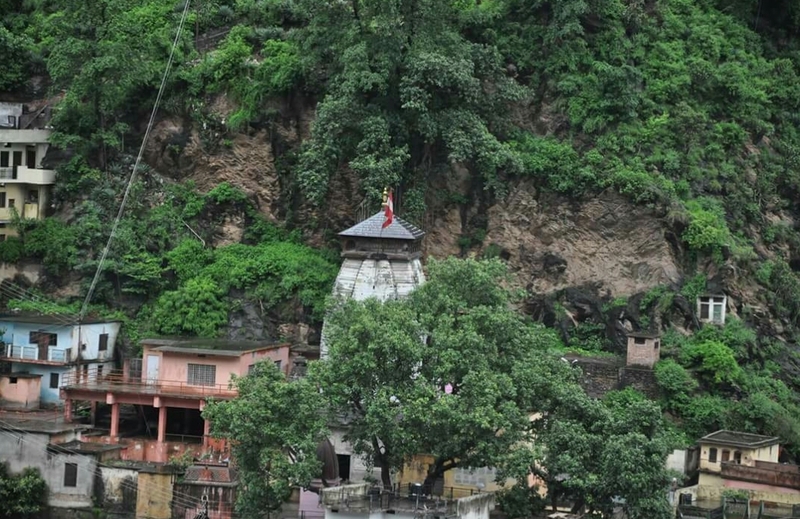 The temple compound also hosts Annapurna Devi temple, Hanuman temple, Shankaracharya temple and Garud temple. The sculptures on the temple walls are a combination of Buddhist and south Indian architecture. The inner walls of the temple are adorned with gold sheets on the three sides and also depicts life history of Lord Ram and Lord Krishna. The temple has a single base and all the shrines are enclosed in enclosures. There are separate shrines in the temple for Badrinath, Adi Shankara, Lord Shiva, Goddess Sita, Lakshman and Hanuman around the main shrine. The main shrine has a conical roof over the sanctum and houses a granite idol of Lord Raghunathji in standing posture. By Air: The Nearest Airport is Jolly Grant Airport Dehradun is just 116 Km of Raghunathji Temple Devprayag. By Rail: The Nearest Railway station is Rishikesh Railway station just 74 Km and Haridwar Railway station which is 24 Km from Rishikesh. By Road: Rishikesh is the major starting point for road journey to Devprayag and regular buses operate from Rishikesh bus station to Devprayag. Therefore all the buses and vehicles that carry pilgrims from New Delhi to Badrinath via Haridwar and Rishikesh. The road distance from Rishikesh to Devprayag is 74 km .